Our article today is going to be addressing nearly everything you need to know about electronic drum sets. We understand that, in comparison to acoustic drum sets, electronic drum sets are slightly more difficult to understand. But don’t worry we’re here to set things straight. We have reviews on our absolute favorite electronic drum sets in the industry. And, of course, we have a buying guide as well to help the beginners navigate their way through electronic drum sets. 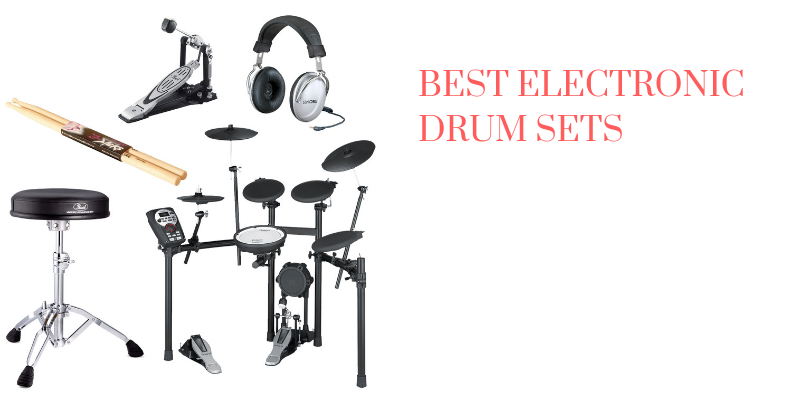 The information there will help you pick out the best electronic drum sets for you. Whatever your skill level, as a beginner or experienced drummer, there’s something here for everybody. So, stay with us. But first, a comparison table for those who need to make a quick decision. We all know Roland, the elite brand we trust for highly sophisticated instruments like synthesizers and the likes. Its Roland TD-11K opens up our reviews with a bang. 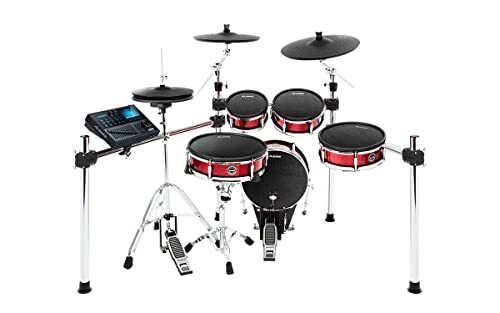 It’s a fantastic electronic drum set that’s great for the beginner and the advanced drummer, although, it’s probably more within the reach of advanced drummers. But then again, as long as you can afford the Roland TD-11K, it doesn’t matter whether you’re a beginner or an advanced drummer. This drum set will definitely work. Now, let’s see what this bad boy can do. 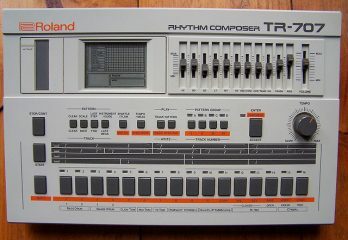 The Roland TD-11K is great for home recording. You’ll be able to achieve anything from jazz to metal. Its sound quality is superior as you’d expect from Roland. In versatility, this drum set is amazing. You’ll be able to define about 25 drum kits by yourself. And from these kits, you’ll be able to pick out nearly 200 different sounds. If you need more to be impressed by, then relax, the Roland TD-11K is no done by a long short. Of course, you can connect this to your computer using the MIDI cable. This way, you’ll be able to access more sounds from your recording software’s sound library. The sound quality of this drum set is mind blowing. Roland only used real instruments which is super amazing. Now, supported by Roland’s supernatural sound technology, the sound quality goes up several notches. However you hit, you can make your sound louder or brighter, or even elongate your reverb. In fact, many people cannot tell the difference between a Roland TD11 and an actual acoustic drum kit. Finally, looks. This is one good looking electronic drum kit. Its black color makes this look really professional. Can control every nuance of your sound. There are 3 learning functions on board that work. Does not come with a chrome rack. Sound range is only limited. Now, this is a really pricey instrument coming at a price tag well above $1000. It’s great that at this price tag, the Alesis Strike Kit comes with nearly everything you need. Well, you’d have to get your Hi-hat stand and pedal separately. But other than that, this is a complete kit. It comes with large mesh heads which look really authentic. The way Alesis designs them they actually resemble actual drum heads very closely. And even in feel, these drum heads do a good job mimicking acoustic drums. Alright, for the cymbals, they aren’t exactly full size, coming in a crescent shape rather than a circle shape. Regardless of this though, the surface areas of the cymbals are still quite impressive enough all the same. The kickpad is also quite sizable and give a good level of resistance against the kick pedal. In fact, this is perhaps the greatest thing about this Strike Kit and why we love it so much. The way the kickpad responds to hitting is phenomenal! The kickpad looks, weighs, feels, and sounds super real. Now, little bit about the module… Alesis uses its Strike performance module here which comes with some fantastic features. Like, there’s the 4.3 inch color LED screen. This is enough to make this module super high end on its own. You’ll be able to see images really clearly, and it’s just awesome tech altogether. Moreover, this module practically opens you up to whole new world of possibilities which is a major game changer. With an impressive sound library, this kit sounds dynamic and super responsive. All in all, this is a quality drum kit with sound quality that’s unparalleled. Mesh heads are super responsive with realistic rebound effect. More than 1600 drum, cymbal as well as other percussion sounds that are super realistic. Features a solid chrome rack. Some issues with hi-hat closing/opening sound. With the Alesis DM10 MKII Studio Kit, Alesis strives to give the drummer more than just a practice kit. This time around, Alesis is giving drummers something they can use in a recording studio. In fact, the Alesis DM10 MKiI Studio Kit is also great for live performances as well. If you’re working drummer, don’t stop reading this. Now, let’s begin with the looks. Once again, Alesis has given us a super cool-looking electronic drum set. If you recall the last set we reviewed, we saw that the drum set looked amazing in a red/black color combo. This time, Alesis goes with all-black. And, of course, the drums are still killing it. Now, to the module… The module of the Alesis DM10 MKII Studio Kit is excellent with loads of helpful and inspiring tools. 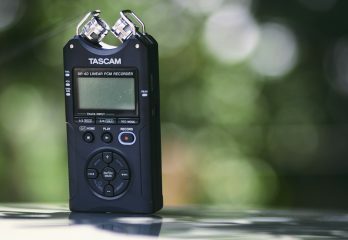 It also comes with a variety of sounds which you can begin to use immediately either in the studio or during a live performance. There are 54 preset drum kits with about 671 instrument sounds altogether. Although this is impressive, Alesis packs even more features in its pro version. So, if you’re a feature junkie, you might also want to consider that one too. But still on this module… You’ll find that you’ll be able to adjust every individual sound on the module from the reverb to pitch and all. 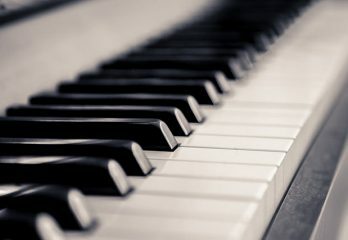 It’s super important for seasoned players as they would like to be able to customize their sounds the way they want to create a perfect mix. Now, the pads here are mesh heads which means that you achieve only limited noise level while practicing. So, with this kit, you’ll be able to practice nearly anywhere and anytime without causing any disturbance to anybody. 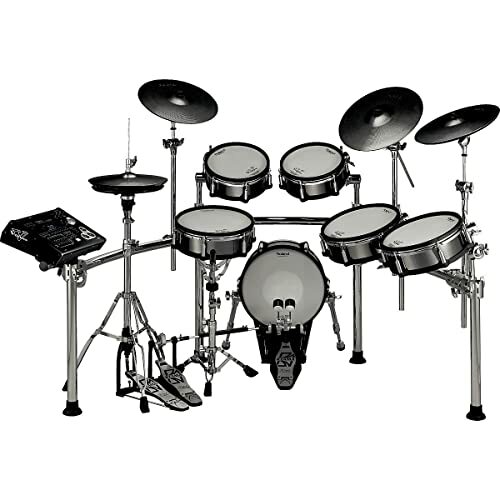 This kit features more cymbals and toms than many other electronic drum kits. Drums are also larger than on many electronic drum kits. Post frame is sturdy enough to support your kit. Looks good too. Mesh heads respond excellently with a fantastic rebound. Tension of the heads is also adjustable which makes it great for quiet practice. Hi-hat pedal is not really responsive. A few complaints about durability. 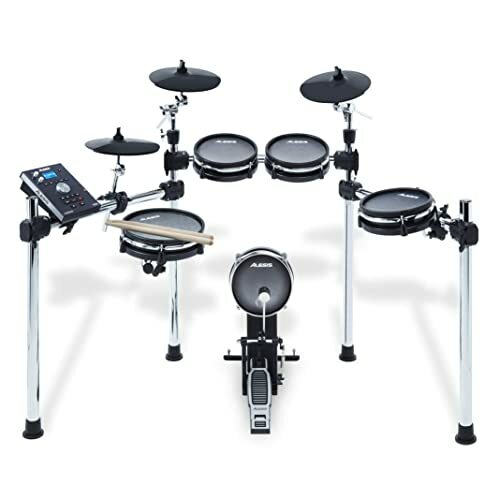 When it comes to live performances, the Alesis Command 8-Piece Electronic Drum Kit is your best bet. It’s an excellent kit with every component you’ll need for a complete drum kit. This comes with a 4-post chrome which accounts for the large size of this kit. 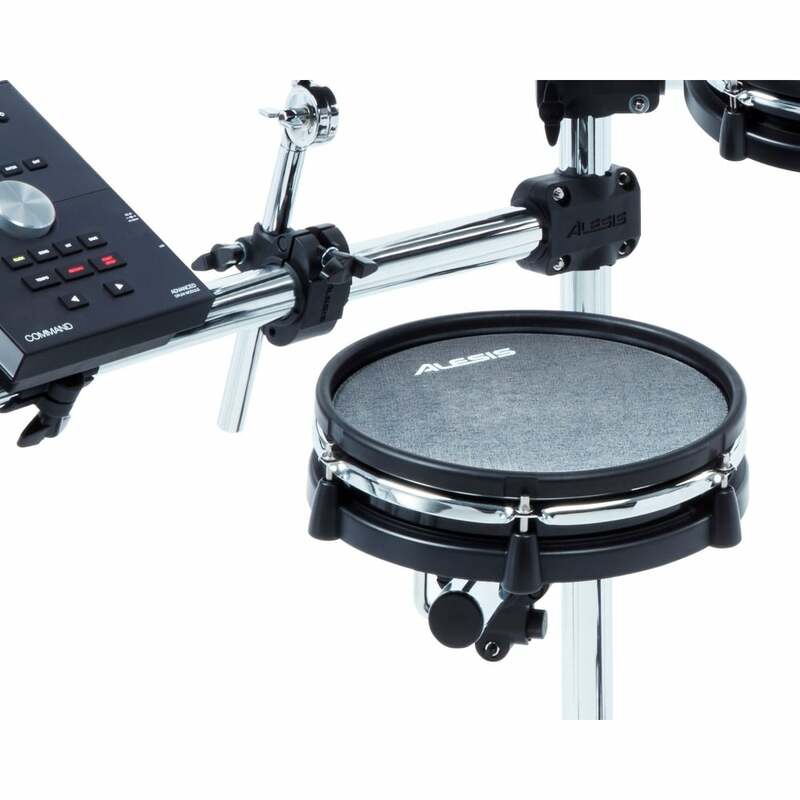 The Alesis Command 8-Piece Electronic Drum Kit looks pretty much like your everyday acoustic drum kit. So, it looks good and your audience will be used to it which is also pretty good. Now, the tom pads are quite larger than normal at 9 inches, 9 inches and 11 inches. As you know, most pads come at 8 inches and 10 inches. So, there’s a small margin of error for your strokes. This is a very useful feature for a live performance. Plus, one of the cymbal pads comes chokeable which is a good thing. The sound module here packs enough features to make this drum kit very high end and sophisticated. There are about 70 digital kits as well as 600 sounds on here. As you can see, this sound module comes with more than enough flexibility and versatility. You’ll be able to play all kinds of gigs and cover a wide range of musical styles on stage using this drum kit. 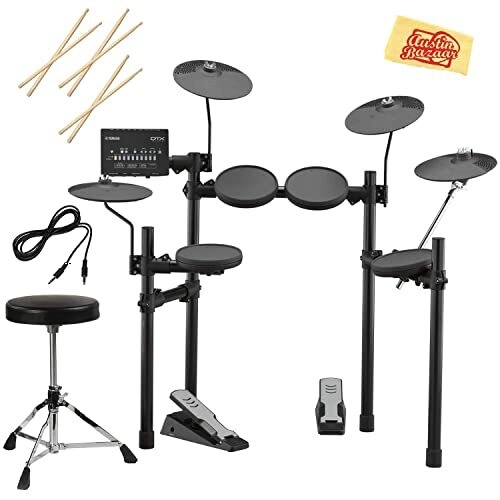 As you can see, the Alesis Command 8-piece is an excellent choice if you need your electronic drum set for performance purposes. 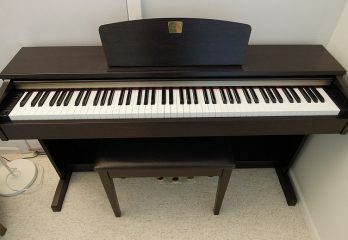 It’s also quite affordable too and the closest to a perfect choice we found for a live performance. The snare and bass pad (the most important pieces) are made with mesh heads. The mesh heads give a fantastic response, plus, you can also adjust the tension individually. Sturdy and durable construction on the chrome frame. They look professional too. Super easy and fast to set up. Sound module is also easy to use with an LED display screen as well as adjustment knobs. Pads are super sensitive and distinguish efficiently between heavy and light strokes. So, this drum responds to you according to the force of your strokes. This comes with single-zone cymbals which are not so great. For instance, they don’t give that edge sound on the ride cymbal. The Alesis Surge Mesh is an upgrade to the Alesis Surge. The only difference here being that the heads here are surge. The Alesis Surge, on the other hand, come with rubber heads which, of course, isn’t as high quality as mesh heads. This means that with the Alesis Surge Mesh 8-piece Electronic Drum Kit, you will be able to rehearse all you want without annoying anyone. Trust us, your family and neighbors will be glad of that. Feel and rebound here? Excellent of course. you’ll love the way these pads throw your sticks back at you while you play. This way, you’re able to play as fast as you can. Plus, they also respond fast too with hardly any noticeable time lapse. Another wonderful thing we love about the Alesis Surge is that it is decently priced. It’s definitely more expensive than its rubber head brother, but not my much, though. In the sub-$500 price range, the Alesis Surge Mesh 8-piece Electronic Drum Kit is definitely one of the best. We definitely love this decently priced drum kit. This is a compact electronic drum kit which fits most indoor setups from home studios, to bedrooms, to lounges. Great response time from the time you strike to when you hear it through your headphones. Limited EQ options like room sizes, wood types, etc. But then again, most drummers might never need this though. 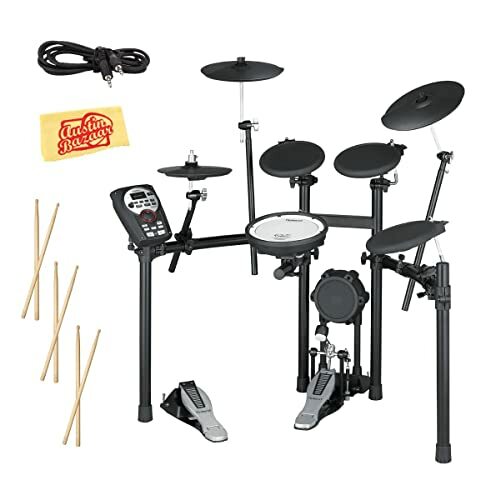 If you want to get electronic drum sets, this drum set is pretty much affordable for anyone. As the name suggests, this electronic drum set is a solid entry-level drum set for beginners. But even though this is entry-level, it is still quite feature-packed with loads of fun. The kit is a great beginner set. However, it’s still works for intermediate players. Plus, professional players could also use this if it comes down to it. Construction here is high quality and super durable. Plus, it’s adjustable enough for all kinds of players of all kinds of ages and sizes. The rebound here is not super, nonetheless, it is still quite good and realistic. It’s also quite easy on your fingers. The sound module is quite great with about 15 excellent drum sounds. There’s also an option for you to record your own performances. Also, there are play along songs with which you can practice your drumming. And because practice can never be too much there is a coach feature as well. The Roland Entry-Level Electronic V-Drum Set is super durable and highly functional. And you can also connect it to your computer to broaden your sound options from your favorite software. Totally love this kit! Compact size with a small footprint. Foot pedal might be frustrating for experienced players. Yamaha has made excellent pianos, speakers, and whatnot, but this time, they are giving us the Yamaha DTX402K Electronic Drum Set. it’s an excellent drum set by all standards. This also comes as an entry-level model and we’re about to see why this drum set is a favorite among many. 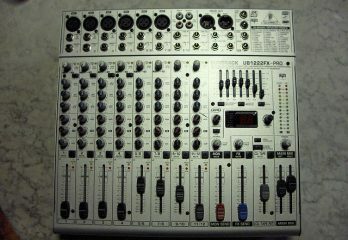 Now, in looks, the Yamaha DTX402K is not exactly the best looking in the world. We’ve seen the Roland and Alesis drum sets and they set a pretty high standard. Thankfully though, the performance makes up for this drum set’s poor looks. This drum kit comes with 10 drum kits (fully customizable), 21 kicks, 36 toms, 23 snares, 31 cymbals, and 42 percussions. Besides that, this drum set comes with a Silent Kick Unit which is probably the biggest reason we love this kit. This Silent Kick Unit reduces the amount of acoustic noise and vibration you get from the drum set. So, it’s automatically one of the quietest drum sets you might come across. Now, there are no mesh pads here, just rubber. Nonetheless, they are still pretty good and much better than many other drum sets within this price range. Quiet drum pads perfect for a quiet practice. Comes with a quality headset. Can plug this into your mp3 player or smartphone. Some customers might not like the silent kick thing. The Roland TD-17KL-S is a great drum set from Roland. So, far we’ve met about three or four of Roland’s electronic drum sets. And from the experience we’ve had so far with Roland, we know that we can trust the Roland TD-17KL-S.
Now, it’s a bit high end which puts it out of the reach of beginners. Advanced players though will love this drum set. The drum pads are really realistic and of course rebound is solid. You’ll find that when you play this, it gives a fantastic rebound. As for construction, this is a solid kit. Roland delivered on a kit that’s long-lasting and well made. It will last several years of use. So, though this comes a bit pricey, it still pays for itself since it lasts very long. The sound quality here is also great as it kinda sounds like a true acoustic drum set. The sounds from the muddle are also easy for you to customize. There are 50 preset kits, as well as 50 customer kits. Sadly, this kit does not come with a hi-hat stand, kick pedal, and throne. So, you’d have to keep some spare cash in hand for those expenses. Does not come with a hi-hat stand, throne, and kick pedal, so you spend extra. 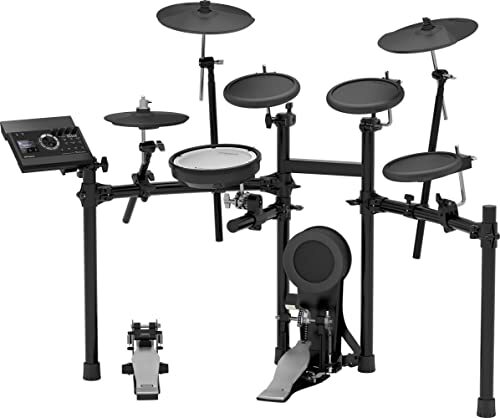 This Yamaha DTX532K is a slight improvement over the entry-level electronic drum sets from Yamaha. It is the middle drum set between the DRX522K and the DTX562K. This module of this drum set packs so many high quality samples. And it’s especially wonderful to know that Yamaha recorded sounds from acoustic drum sets into the module. So, the sound feedback you get from here will totally blow your mind. The cymbal sounds are also quite high quality too. This also makes an ideal setup for practice as it is quite silent. You’ll be able to practice without necessarily annoying here. It’s also a great fit for student dorms as well. Besides great sounds, this drum set also boasts some high end features such as a stand-mountable hi-hat. This adds to the realism you get from this drum set. There are so many other features this drum set comes with that we really love, including the option to expand this into a larger setup. Also, you hardly need to get additional accessories when you get this drum set. it comes with all you need at a decent price. Realistic hi-hat pad, so you won’t have to spend extra. HH135 hi-hat functions excellently and allows for nuanced expression. Mesh head gives this drum set a realistic feel and response. Option to expand the drum set. Toms are a little on the small side. Now, possibly the king of all drums, the Roland TD-30KV is a high quality drum set. It is by far the most expensive drum set on our review but it is also the best in terms of quality. It’s a fully professional kit that will fit well into any high profile studio in the world. The Roland TD-30KV comes with supernatural sound and behavior modeling technology. This ultimately means that the sound from this kit isn’t pre-recorded. So, everything here is straight from the module. Of course, there are sounds in the library but when you strike the pads, they trigger the module to synthesize a unique sound each time. So, this works pretty much the same way an acoustic drum would. The sound module also helps you to customize all aspects of your drum’s sounds. However you want your kick to sound, the TD-30KV gives you the power to decide with just a push of the button. It’s hard to find something negative about this drum set in fact. They are super easy to learn. 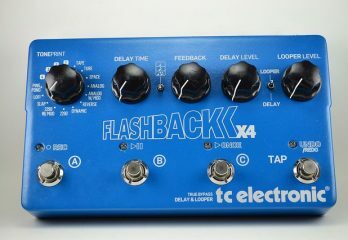 However, if you’re not crazy about tweaking sounds, then just save your money and get something else instead. Super responsive mesh head with realistic rebound. Over 1600 drum, cymbal and percussion sounds that feel pretty realistic. Few issues registering hi-hat opening and closing sounds correctly. What Exactly Is An Electronic Drum Set? 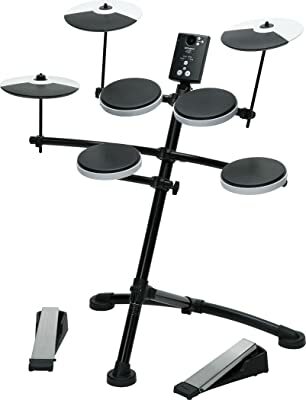 An electronic drum set is basically a collection of pads which is in turn connected to a module. Well, a module is that small box next to the electronic drum kit which generates all the sounds you hear. It’s also responsible for running every other feature you find on the drum kit. A good electronic drum kit module should come with all kinds of styles of kit. So, normally, you should have rock, fusion, jazz, and the rest of them. Of course, the more expensive a drum kit module gets, the more flexibility and options it will have. So, how exactly does the module work? Well, normally, studio engineers record sound samples in a studio and program onto the module. So, when you play the drum set, what you hear is a pre-recorded sound from the module. Besides the module, there’s also the part which you play, of course. This part is referred to as the trigger or pads. 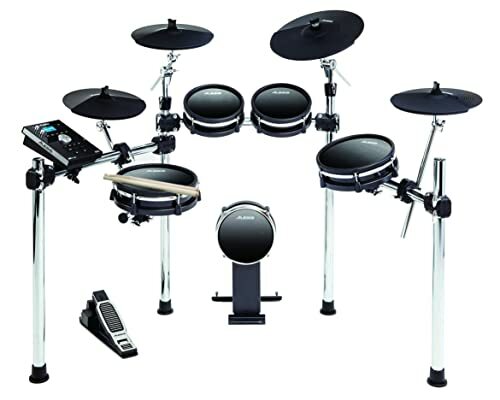 Now, a typical setup for an electronic drum set is a 5-piece arrangement. It’s quite similar to the acoustic drum set you already used to. However, with some upgraded modules, you can expand your drum set to more than a 5-piece arrangement. Full electronic drum sets, as their name suggests, come with all pieces in a standard drum set. so, you find the kicks, snare, toms, and cymbals as well. If you don’t feel completely comfortable with playing electronic drum sets, there are always electronic-acoustic drum sets. This hybrid option gives you the raw acoustic power sound with the versatility the technology of electronic drums offer. It’s super easy to learn to set up a hybvrid drum set. They are actually quite easy to use. And even if you need to learn anything, it’s not so complicated. Plus, it’s a plus for you since you’ll be expanding your knowledge. Here are some reasons you should consider getting an electronic drum set. Acoustic drums come quite loud. So, when quietness is of utmost importance, your best option would be an electronic drum set. Plus, there’s also the option of hooking up headphones so you alone hear the sounds of your drum. If you want a super quiet practice though, you could go for mesh heads or you could also go with silicone heads. These are the quietest pads you can get. 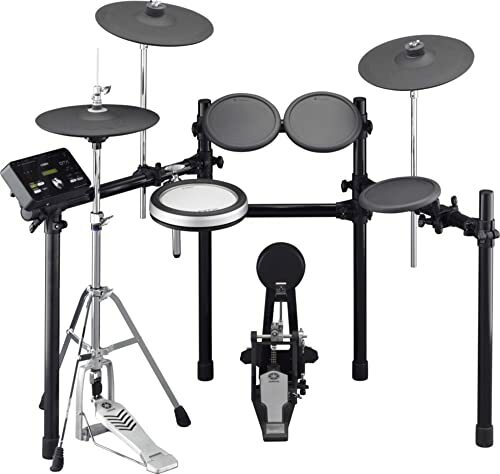 Some electronic drum sets feature a lesson mode. 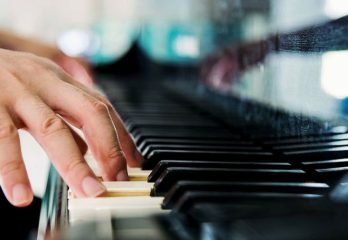 This mode allows the beginner to practice certain techniques. For instance, a drummer can learn to stay in tune with audio notifications and metronome features. Also, it’s super easy to hook up your drum set with a software on your computer. This way, you can record your performance and analyze them later for improvements. In fact, some tutors record their drum sessions and then send their students the recording afterward for practice. 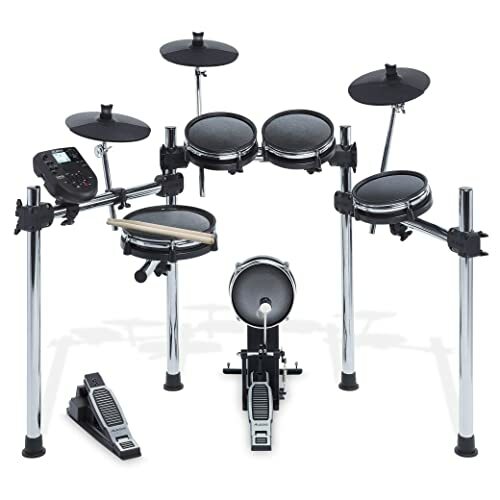 With electronic drum sets, you get a wide range of different sounds. Plus, you’ll be able to customize your sound hpwever you want. In fact, some electronic sets even allow you sample your own sounds from your acoustic drum onto the pads. Keep in mind that electronic drum sets do not sound as well as acoustic drum sets. The volume is also not as good which is why a lot of players are hesitant to move over to electronic drums. However, your choice of pads can help also impact on this aspect as well. Rubber Pads or Mesh Heads? Rubber pads feel similar to practice pads while mesh heads feel more like actual acoustic drum heads. Now, you can tune mesh heads which, in turn, allows you to alter the amount of rebound the head gives. From our explanation so far, it’s easy to deduce that mesh heads are a superior option to rubber pads. To corroborate this point, most cheapies tend to come with rubber pads while high end drum sets tend to come with mesh heads. From our findings, mesh pads give a better response and sound more like acoustic drum sets than rubber pads. 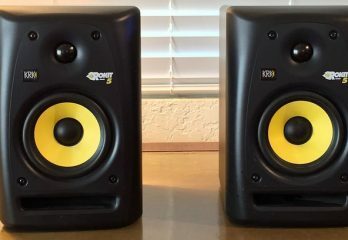 Though they are more expensive, they are justifiably so as they improve sound quality significantly. Most electronic drum sets are a typical 5-piece arrangement. So, there’s the snare, tom, kick, crash, and hi-hat. Depending on what kind of set you go for, you could also get a larger set which includes an extra tom, ride cymbal. Sometimes, a set might even also include a microphone and a seat. Electronic drum sets typically come with software, however, there are some that don’t. Now, if the electronic drum kit you go for does not come with a software, then you might have to factor that into your budget. However, make sure you’re comfortable using whatever software it is. Electronic drum sets go for all kinds of prices, so, you want to determine how much you’re willing to spend before actually buying. Of course, with extra features and add-ons, comes extra cost. If you’re a still a newb though, then you could go with entry-level electronic drum kits which typically cost less. Looks are not high up on the priority list, of course. But then again, it’s also worth considering. You want to get something you’d be proud to own and pleased to look at. It might even be a deal breaker for some who might have an idea in their head which they want their drum set to reflect. Of course the best electronic drum sets here will go to the Roland TD-30KV Electronic Drum Set. However, it is super pricey and might not be within the easy reach of most people. 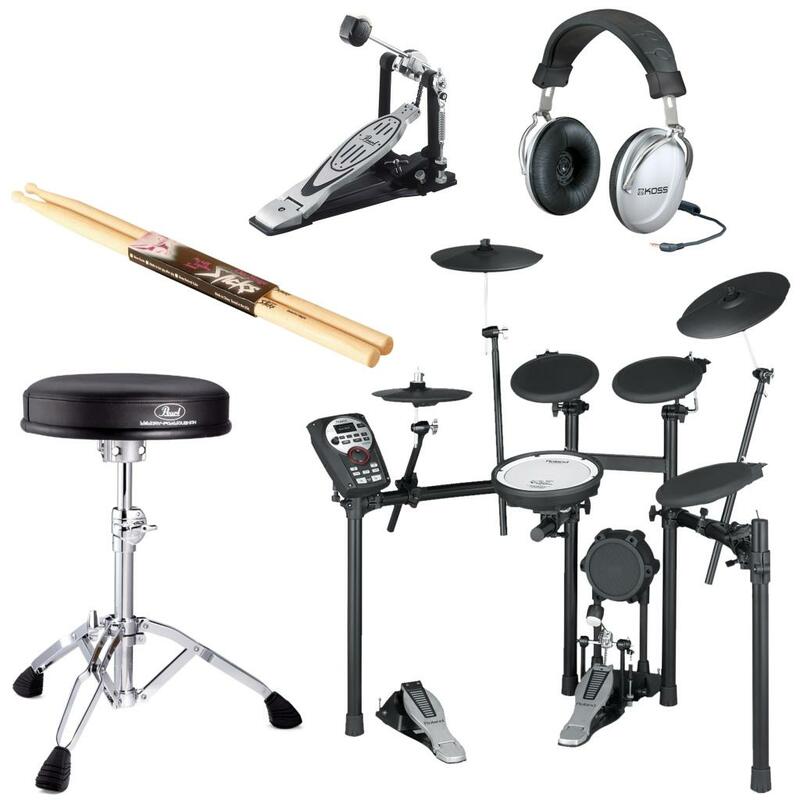 For that reason, we suggest the Roland TD-11K Electronic Drum Set Bundle as a close second. It’s our best all-rounder electronic drum set.